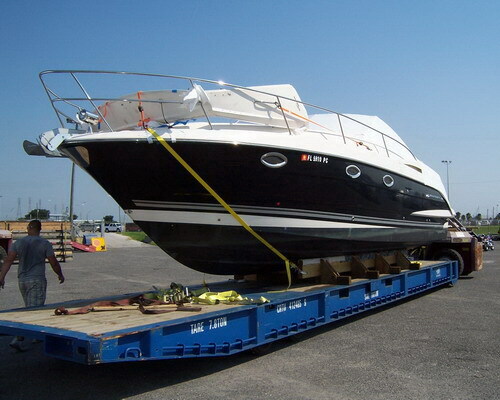 International Shipping Services offers a number of shipment options for the international relocation of your boat or yacht. Each shipment method is customized to the individual needs of each customer depending on the size of boat and destination. One of our international boat shipping specialists will discuss your options and prices with you. Shipping power boats and sail yachts overseas from the USA by container and RoRo. Step 1: The customer can either deliver his boat with all of the necessary documents to the port/warehouse or ask us to pick it up. Step 2: Int'l Shipping's crew loads and secures the boat into an ocean shipping container / flat-rack or the port workers will load it directly onto the vessel with Ro/Ro transport. Step 3: The boat is then transported to the port of departure, cleared with Customs and loaded onto the shipping vessel. Step 4: Once the boat has reached its destination, it will be taken off the vessel where the port agent will see it through Customs and either deliver it to the new residence or have the client pick it up directly from the port/warehouse. I looked all over the internet trying to find a good reputable company to move my boat to Europe and we are so glad that we found ISS! They got back to me with a quote in a timely manner and the price was spot on for the distance it needed to be moved. It is hectic enough to move to another country, so this was a weight lifted to have this part of our move be easy and straightforward. Thank you ISS! 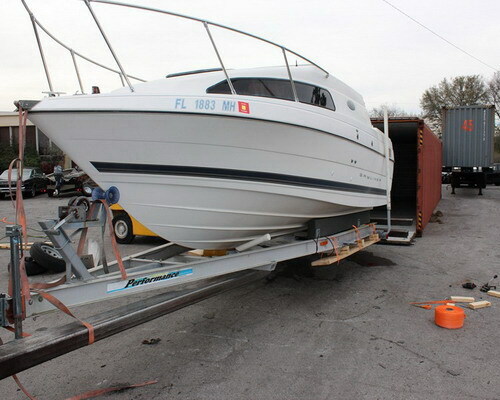 I found the perfect boat for myself on eBay in USA but I live in Sweden and needed a transporter to get the boat to me. ISS worked with me to make sure they were able to get my boat to me as soon as possible so that I can get it ready for summer time. They were very professional, checked in with me often on the status of my order, and followed up with me upon completion. This was the first time I used ISS to transport a boat between US and Australia. ISS came highly recommended by a friend. The process was thoroughly explained and expectations were met with high marks. The level of communication was excellent throughout the process. Don't take a chance - choose ISS, and you will find yourself happy to take the time to give them a great review, too!